Amazing LAKEFRONT Mediterranean style home with Spanish tile roof located on Mountain Lake. The property is a level .92 acres. Completely renovated in 2011. Gorgeous kitchen with 2 islands, top appliances and large windows looking at the lake. There is a breakfast room which leads outside to a bluestone patio. There are 2 bedrooms and 2 full baths on the 1st floor-perfect for guests or in law suite. 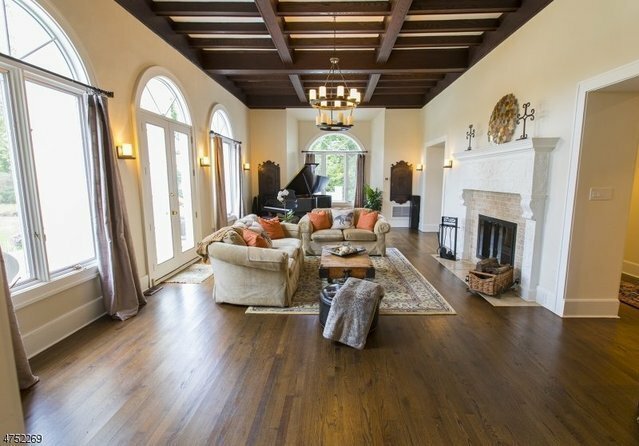 Formal living room with grand fireplace and soaring beamed ceiling. An adult game room fits a pool table. Family room off the kitchen also has a fireplace. Master suite has a balcony and there is a mahogany deck on the second level which has amazing views of the lake. Private beach, fire pit, permanent and floating dock, finished basement, 2 car garage, mud room.